I will be doing selected counties as I see fit. some may be GRINDALL/GRINDLE, GRINNELL, WHEELER, and others. 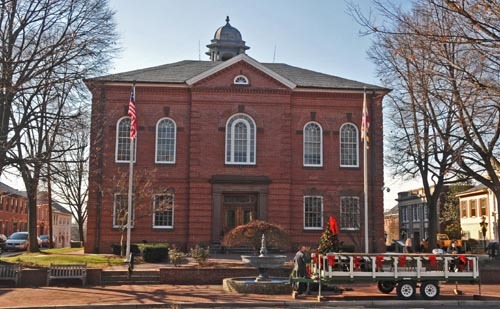 Harford County was formed in 1773 from the eastern part of Baltimore County. It contains Tudor Hall, birthplace of Abraham Lincoln's assassin, John Wilkes Booth. Harford County also hosted the signers of the Bush Declaration, a precursor document to the American Revolution. The county was named for Henry Harford (ca. 1759-1834), illegitimate son of Frederick Calvert, 6th Baron Baltimore. Harford was the last Proprietary Governor of Maryland, but did not inherit his father's title because of his illegitimacy. Havre de Grace, an incorporated city in Harford County, was once under consideration to be the capital of the United States rather than Washington, D.C.. It was favored for its strategic location at the top of the Chesapeake Bay; this location would facilitate trade while being secure in time of war. Today, the waterways around Havre de Grace have been silted, one of the primary environmental issues of Harford County. The county has a number of properties on the National Register of Historic Places. * Baltimore * Cecil * Kent * Lancaster, Pa. * York, Pa.